What does Ehsaan mean, details, origin, short & easy attributes? The meaning of the name â€œEhsanâ€ is: â€œPerfection, Excellence; Benevolence; Compassionâ€. Additional information: In Persian is written as Ø§Ø­Ø³Ø§Ù† Categories: Arabic Names, Iranian Names, Muslim Names, Persian Names. Ehsaan is baby boy name mainly popular in Muslim religion and its main origin is Arabic. Ehsaan name meanings is Favour, good. People search this name as Ehsaan. Ehsaan is written in Urdu, Hindi, Arabic, Bangla as احسان, एहसान, احسان,إحسان, এহসান. Other similar sounding names can be Ehsaas, Ehsan, Ehsun. Each letter meanings in Ehsaan Name. Popular personalities with Ehsaan Name. 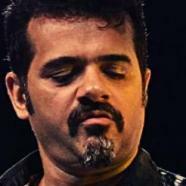 Ehsaan Noorani is a blues and bollywood musician and guitarist. He plays Guitar. He was most active from 1986 to present. Ehsaan was born on October 12th, 1963 in [Mumbai], India.